This will be the first survey of a new bat box scheme which was installed last winter. This meeting we will be welcoming Dr Dani Linton who will be speaking to us about a long running bat research project. 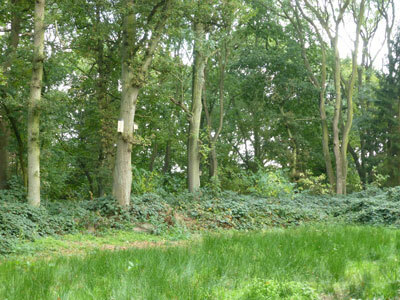 WYTHAM BAT PROJECT has undertaken more than 33,000 box checks of the 1265 Schwegler boxes in Wytham Woods since 2006. Over 3800 bats have been ringed and around 1000 bats per annum are recorded in their day roosts. Dr Dani Linton (formerly of Oxford University and WildCRU) will provide an overview of what this research can tell us about woodland bat populations; from colony sizes and roost switching behaviour to breeding phenology and demographics. Case studies of ringed individuals will also illustrate the complexity of bats' social networks and fission-fusion patterns of roost selection.